Clyde Narramore received his doctorate in psychology from Columbia University in 1949. At that time, western Christians were very skeptical of secular psychology, if not downright opposed to it. 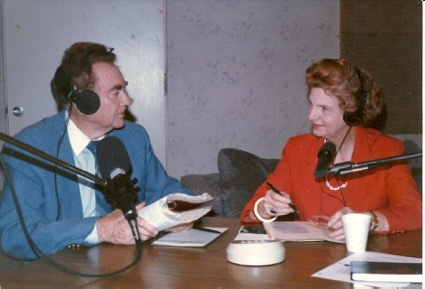 Although many thought of psychology as a threat to a Biblical understanding of proper ways for dealing with one’s emotional struggles, Dr. Narramore courageously began a radio program with his wife, Ruth, in his own home entitled “Psychology for Living.” In this program and throughout his professional life, he championed the integration of psychology and evangelical Christian faith to any who would listen. Narramore Christian Foundation (NCF) was founded in 1956 as a nonprofit Christian foundation. Generous donations ever since that time have enabled this foundation to be a key resource for the development of strategic ministries that meet the spiritual and psychological needs of underserved populations in the United States and, increasingly, in the world. Dr. Narramore’s motto, “Every person is worth understanding” fueled his passion to see the needs of others wherever he went. He expanded the focus of ministry to Christian laypeople via an annual Bible conference at Lake Yale, Florida. The conferences, conducted from 1968 to 1991, always had a core theme—properly understood psychology and faithful interpretation of Scripture were compatible! Thousands of people were blessed, marriage and family relationships were strengthened, and personal growth resulted. In 1970, Dr. Clyde Narramore, Dr. Bruce Narramore, his nephew, and the board of directors of NCF embarked on another new venture. Convinced of the need to train and equip Christian professional counselors and psychologists using a strong integration of Biblical truth and psychology excellence, they founded Rosemead Graduate School of Psychology. It was the first U.S. freestanding institution granting doctoral degrees in psychology to receive regional accreditation. Seven years later Rosemead’s doctoral program and faculty moved to Biola College. In 1981, Biola’s status changed, and its name became Biola University. Using the same name as the radio show, “Dr. Clyde,” as he was affectionately called, published the first issue of the periodical, Psychology for Living, in 1959. This journal built on the topics of the radio program. It provided the first in-depth written material for Christian laypeople to help them understand human nature, emotions, and relationships with God and others. From the exposure to integrated, Christian psychology, requests for referrals to Christian counselors, Christian mental health materials, and training poured in. People primarily sought out their pastors for help with their relationship and emotional problems. But pastors often did not have the time or the expertise to handle the complex situations that parishioners and others presented. 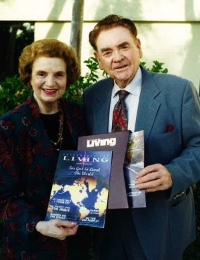 With the overwhelming need for Christian counseling based on a strong integration of Biblical and psychological truth evident, NCF established a Christian counseling center in Pasadena, California, in 1960. Later, NCF also established Christian counseling centers in Phoenix, Arizona, and in Harrisburg, Pennsylvania. Such centers were rare anywhere in the United States at that time. Dr. Narramore was particularly devoted to helping pastors and missionaries deal with their family and personal issues, and to integrate their knowledge of Scripture with a healthy understanding of their spiritual, emotional, and psychological life. If these leaders could grasp and experience the truth and the benefit of this integration, they could bring similar understandings and healing to those whom they served. To this end, NCF began offering psychological services for missionaries and pastors in 1962. In 1966, NCF hosted a seminar for ministers and missionaries in Rosemead, California—an intensive, three-week seminar in which the participants received personal counseling and training. Having experienced holistic, integrated training and personal, confidential emotional and spiritual care at the seminar, these participants were uniquely equipped to provide more effective support to their parishioners and young Christians dealing with emotional and relational issues. This seminar became the model for NCF seminars throughout the U.S. and around the world. Seeing yet another group with unmet needs that was not being served, NCF began annual reentry programs for missionary kids, or “MKs,” in 1979. These two-week seminars served the sons and daughters of missionaries who were high school seniors coming to North America for college. Although they carried North American passports, most had spent a majority of their childhood overseas. For their parents, U.S. or Canada was “home.” But for many MKs, it was not home. They often felt that they neither fully belonged in their host culture overseas nor in their passport country. The reentry program was designed to prepare them for their major transition from mission life to North American college and culture. 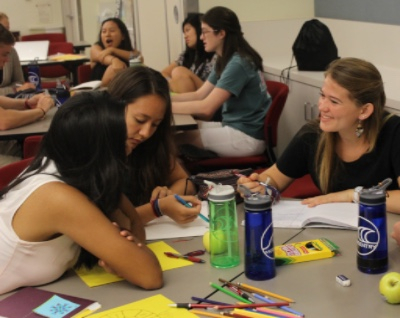 Through sessions on grieving losses, cultural adjustments, and dealing with uncertainty; confidential sessions with experienced, licensed clinicians and dorm devotions with fellow MKs and MK staff in college who had attended a reentry seminar previously; and through fun activities and conversations with other MKs with similar experiences and feelings, they gained new friendships and felt supported and understood. By 2018, NCF served more than 1,900 MKs! NCF continues its MK ReEntry Seminars each summer, hosting young adults on the beautiful campus of Biola University, La Mirada, California. Approximately 40 MKs from around the globe gather to share together their joys of life as an MK/TCK (Third Culture Kid) and the struggles of frequent moves, grief and loss, and learning North American culture. With its vision to serve the underserved, NCF in 2001 developed and sponsored the first Doctor of Education in Christian Counseling program in Manila, Philippines, at the Asia Theological Seminary through the Asia Graduate School of Theology. The first students received their doctoral degrees in 2006. Now hosted at the Biblical Seminary of the Philippines and educating the fourth cohort of students, this NCF program is impacting the nations of India, Indonesia, Malaysia, Mongolia, Philippines, Singapore, and beyond through its students. In 2018 this training became a Ph.D. program in Clinical Christian Counseling and is arguably the best of its kind in Asia. The first intensive, two-week Counseling and Member Care Seminar for missionaries and member care providers was offered in Thailand in 2002. NCF has continued to offer this intensive, life-changing seminar annually. In 2013 it began offering the seminar alternately in Thailand and Turkey, the two countries in which NCF helped found counseling centers for cross-cultural workers. 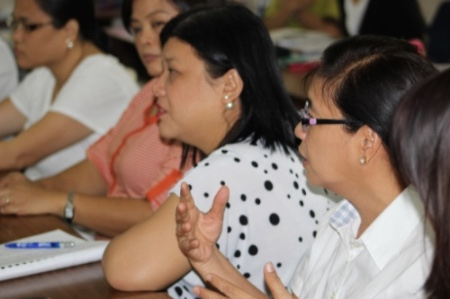 In 2016, NCF offered a one-week Member Care Seminar for cross-cultural workers in the Philippines for Filipino mission leaders, missionaries, and those interested in developing member care within churches and organizations that are sending out missionaries. The 2019 Counseling and Member Care Seminar will be held near Athens, Greece. 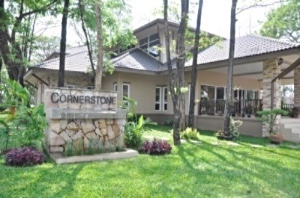 With the vision of Dr. Bruce Narramore and Dr. Timothy Friesen, NCF helped found the Cornerstone Counseling Center for missionaries in Chiang Mai, Thailand, in 2004. This center became a Thai foundation in 2006, and each year serves over 500 missionary individuals or families associated with over 120 organizations, as well as Thai individuals and couples, and the Thai church. The NCF president serves on Cornerstone Counseling Foundation’s board of directors. NCF also assisted in establishing Olive Tree Counseling Center in Antalya, Turkey, in 2013. The mission of the Narramore Christian Foundation remains strong: to meet the psychological needs of underserved populations by providing communications and services based on the integration of psychology and Scripture. NCF has been privileged each year to be able to provide limited grants and scholarships to individuals or organizations that help to facilitate its mission. NCF staff provide care and support for missionaries and their families through personal visits when possible and through internet communication. Referrals for Christian counseling and psychology services are also available.